If you prefer a learning environment on an individual basis rather than a group setting, a mentoring session is perfect for you! You learn EVERYTHING a workshop attendee learns & you receive all of the educational material, too. The difference? It's just you & me for one full day of shooting, creating, editing & friendship. (Hotel accommodations are not included in mentorships). I also offer two on one mentorships for those who have a photog-bestie who would like to learn with them. PLEASE NOTE: Only a handful of dates are set aside for mentorships each year & are only released once workshop seats are filled. The entire world of social media is changing how we, as photographers, do business. While behind-the-scenes images are great, Seniors (especially) EXPECT more... soon all clientele will expect more. 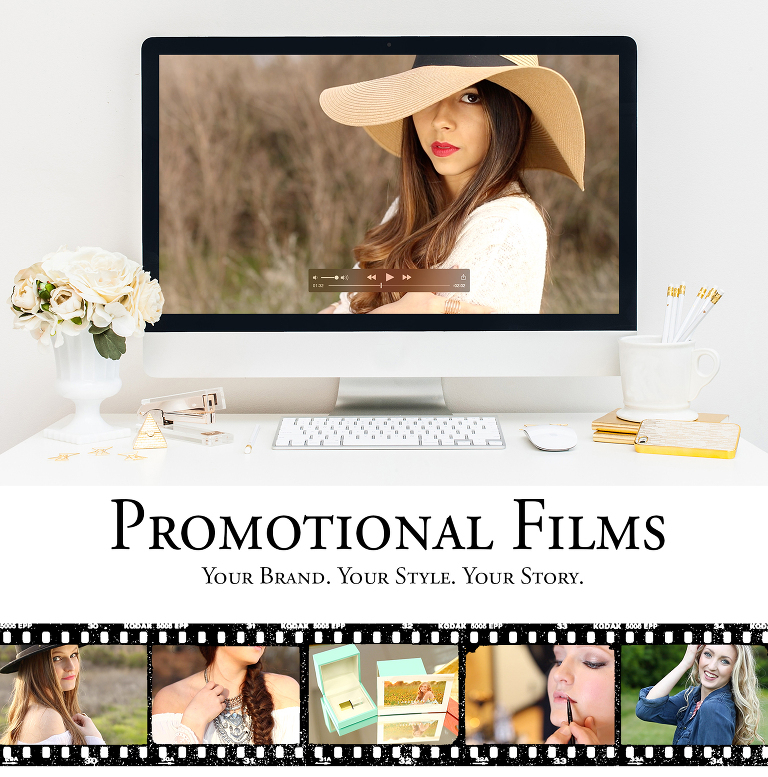 With a professionally created promotional film, you can brand your business as THE portrait experience in your area - because you actually showcase your experience with an incredibly, dreamy film - on your website, on your social media & in your emails to your clients. You & I brainstorm together to come up with exactly what you envision for your film. You may want a styled shoot or the perfect example of a session from start to finish - the sky is seriously the limit. Then I travel to you & we create the most incredible film to boost your business & build confidence in your brand for future clients. We can also set up an additional day for a Senior Films mentorship while I'm there so that you can learn how to shoot video, too! Promotional films are $1500 plus travel & can be broken up into monthly payments. Please contact me for available dates. In 2008, I opened my studio at rock-bottom-prices. 4 jobs & many tears later, I realized something had to give. Through prayer, trial & error, I began a successful payment plan that now brings in an average of $5000+ per client - and no, my clientele are not millionaires. They are normal, middle class clientele, just like you & me. This class will teach you WHY you should implement a payment plan for your photography business IMMEDIATELY. 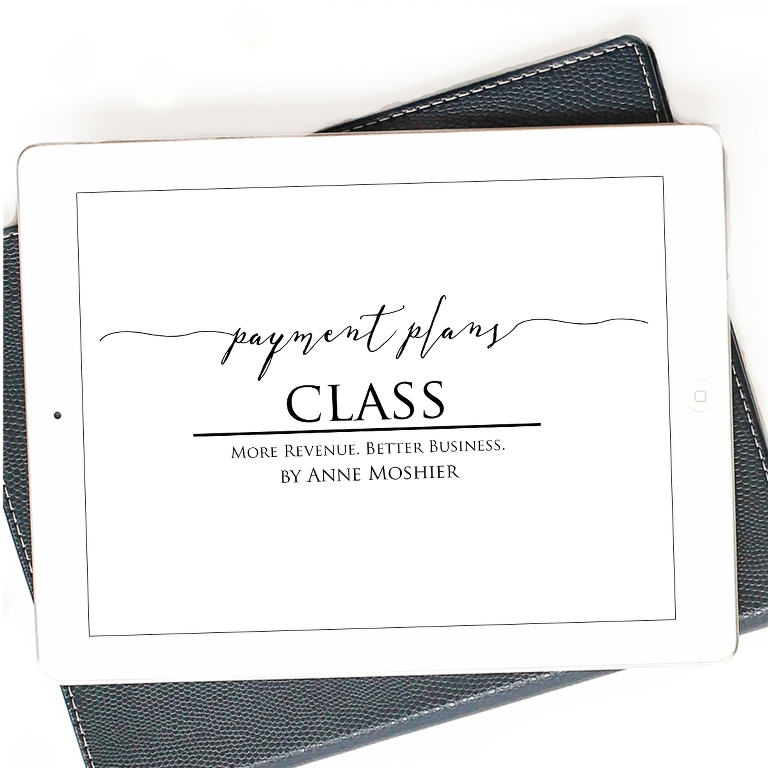 This class will also show you HOW to implement a payment plan that works- one that is tailored to YOUR photography business & how to do so NOW (seriously: you can implement TODAY!!!!). It's time to make a living doing what you love. Grab this e-course TODAY. Pricing can be one of the most fundamentally difficult processes in your business. After nearly 9 years in the photography industry, studying pricing & restructuring my pricing again and again - I have developed a method that allows me to properly price my photography based on both my consumers and my financial needs. I have restructured pricing for several of the industries leading photographers & am more than happy to do so for you. I study & evaluate your clientele, your current pricing, products & more. After doing so, I combine my Payment Plan Class (which you FREE with a pricing restructure) with the information about your business and products to formulate a brand new price set that will INCREASE your sales without having to change your clientele base.